Colour popping can be one of a few different vibrant or edgy colours standing out from the basic palette of tones that already exist in a room. This funky trend blew up the interior design scene back in 2013, where the most unimaginable shades were paired together and the colour clashes were phenomenal. Colour popping is extremely easy to do; you just need to have an idea of what theme of colours you want to match together and how much colour you want to pop. This may be seen as summer fashion; however colour popping can be pulled off all year round. This Autumn sees variations of the red spectrum in the home on walls, furnishings and tapestries; from a deep oxblood to dark hot pinks and purples. Introducing floral motifs and patterns also works extremely well to further pop the colours, along with bringing the feeling of Autumnal comfort inside of your home. Let’s not forget another key colour this Autumn; blue. A whirlwind of blues, from rich indigo to tranquil teal, can create calm and comfort in your home. You can experiment with blue and grey and have one key shade which will pop. 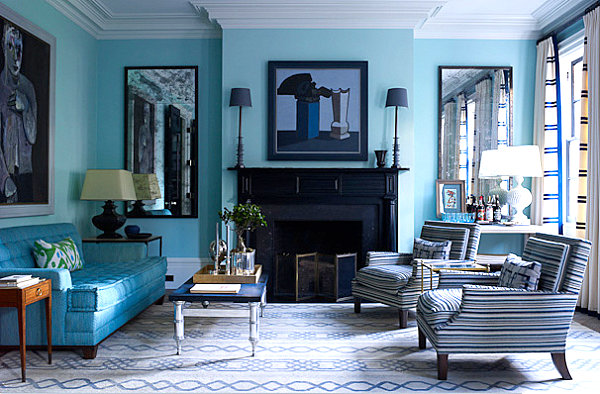 Mixing cool blues with warm blues is also an option that you could consider. Alter­natively, you can keep your base palette in blue hues whilst adding a completely new colour to the table; for instance a leaf green or an energetic mustard. For anymore advice on colour popping, please give us a call on 01254 268590.